The Tennessee Valley Authority (TVA) board of directors met Aug. 22, 2018. At this meeting, the board voted to increase the base rates paid by all consumers by another 1.5 percent. 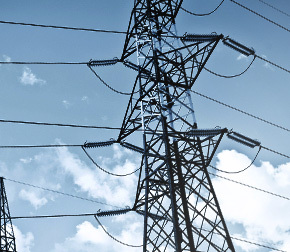 This is the sixth consecutive year that TVA has increased the base electric rate. The rate increase is in addition to all of the modifications that resulted from the rate change approved at the May 2018 board meeting, which saw the adoption of a new fixed-fee Grid Access Charge (GAC). All of the updates to the rate approved by the TVA board will go into effect Oct. 1, 2018. The Volunteer Energy Cooperative (VEC) board of directors met Wednesday, Sept. 26, 2018. At this meeting, the VEC board voted to defer adoption of the GAC until October 2019. However, the other components of the new electric rate will take effect in October 2018. The new VEC rate will include an adjustment to the FCA, the movement of 8 percent from the very large commercial accounts onto the residential accounts, and the 1.5 percent base rate increase. These changes will result in a combined increase of around 2.38 percent to the VEC residential rate. The VEC board elected not to include a local rate adjustment, meaning these increases are a direct pass-through of the TVA rate modification. A typical residential account consuming 1,500kWh will see a total increase of between $2.78 and $2.88 per month, depending on the seasonal rate adjustments. VEC does not approve of the TVA decision to change the electric rate and has stood opposed, as are other electric cooperatives, to the idea throughout the entire process. As an electric cooperative, VEC does not generate profits for shareholders as other for-profit electric companies do. Because TVA continues to raise rates and has elected to change the rate structure, our consumer members will see higher rates in the immediate future. VEC is not pleased by the TVA rate action. Unfortunately, TVA is proposing yet another rate increase for next year, which VEC also opposes. TVA is implementing a financial plan that includes significant amounts of debt reduction over the next several years. The TVA plan is to achieve this reduction by boosting revenue through annual rate increases. So far, there have been six consecutive increases and two rate change in six years. Our concern is that TVA will over-collect what they need to achieve their debt reduction goal and instead will build up billions of dollars in cash. We believe that TVA does not require any additional rate increases to reach their debt reduction goal. VEC stands opposed to the rate change that has already been enacted and to the rate increase proposed for next year.